In the last year, spending on recipe box deliveries grew by 65% in the first half of 2018 compared to 2017. This growth has been driven by consumers who want to cook and explore different meal cuisines but are too time poor. GCL takes a deeper dive into this booming sector. Meal kits contain pre-portioned ingredients and recipe instructions for a complete dish, that shoppers prepare and cook for themselves. The method is cheaper than ordering take away and offers cooks to broaden their portfolio through familiarisation of quirky ingredients. Some analysts believe that it saves time throughout the process from grocery shopping to prep work. In fact, 38% of chilled meal kit users think that cooking recipes from scratch take too long. Meal kits are still a niche sector within the online grocery market as only 3% of online grocery shoppers have tried the service style. However, consumers are curious about this scheme and want to find as much information as possible. This is reflected by search volumes repeatedly up by 109% in the first 9 months of 2017. 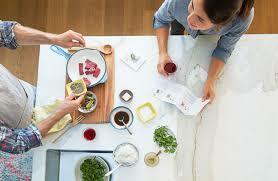 Subscribers tend to be consumers who enjoy cooking or enjoy lovely cooked food but they lack in skills or time. However, the audience demographic varies from twenty plus urban professional to young families that are rushed for time. Motivations for usage varies but one key aspect is that the frustrations of meal planning is already done for you. Once, allergies and dietary preferences have been specified, the company makes the choice for you and takes into consideration portion size, the time necessary to cook and also shelf life. In addition, it could be a solution for the obesity crisis as aids consumers who want to lose weight as they know exactly what they are eating and how it is portion controlled. 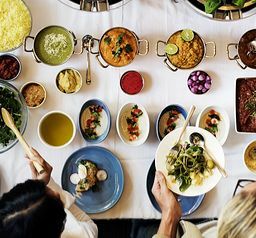 40% of “ cooking enthusiasts” agree that meal kits are just as good as authentic “home cooked” meals and 43% agree that they are a good deal for the price. 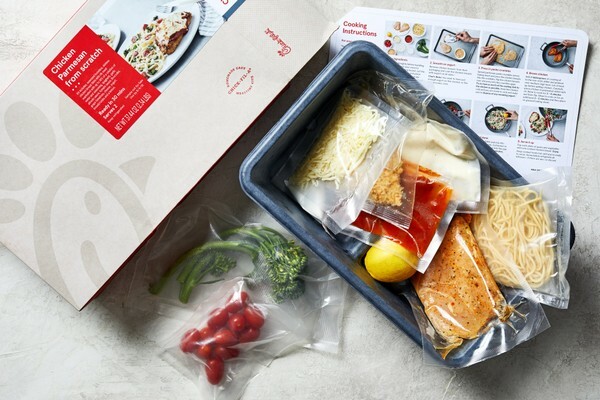 42% of people agree that chilled meal kits are a convenient way of scratch cooking, however, some critics question whether they also deem to tick the box on convenience to the same extent as ready to cook oven dishes. As consumers are becoming increasingly involved in homemade cooking but do not have the time, ready meals are now being diversified to the meal kit format. New launches of chilled meal kits from leading grocers include Aldi’s Ready, Set… Cook!, Asda’s Simply Cook, and Sainsbury’s Just Cook range. 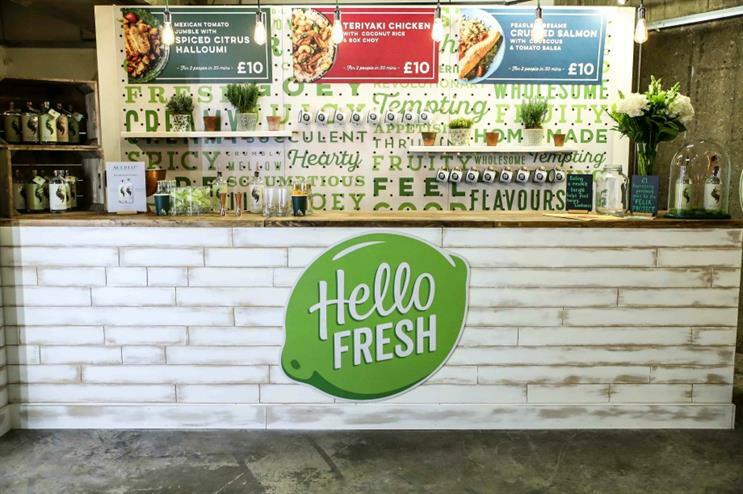 Hello Fresh has also diversified through the exploration of brick and mortar format in London for 4 weeks last March. This gave Hello Fresh the opportunity to gauge consumer interest, generate buzz and capture more consumer. 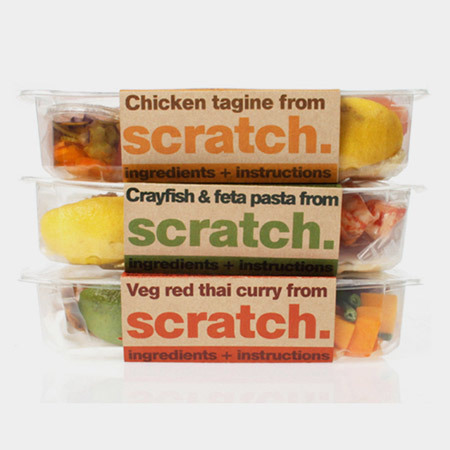 In addition, Hello Fresh packs are now being sold within Sainsbury’s. 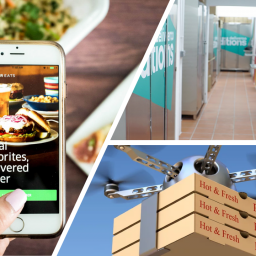 By opening pop up shops and retailers channels, brands can introduce non-subscribers to the types of meals they could expect from service. One retailer has even opted to create their own recipe subscription service – Waitrose’s Cook Well scheme which follows a very similar approach to Hello Fresh. The programme does not reinvent recipe box schemes but leverages the brand personality associated with Waitrose – quality, clean, premium and thoughtful. Big brands are creating partnerships with meal kit suppliers. For example, Hershey’s has partnerships with meal kit specialists Chef’d to create baking kits featuring chocolate puddings. This aligns the brands with the growing trend of baking. 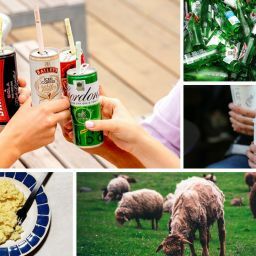 These partnerships aid to the shift in consumer behaviour and offer customers a new way to access and explore a brand and their different offering. There are numerous Meal Kits brands available that all have a unique strategy purpose. At GCL we are able to portion control our ingredients, allowing us to be the perfect BRC AA supplier for all meal kit solutions. Please get in touch to know more about our facilities.